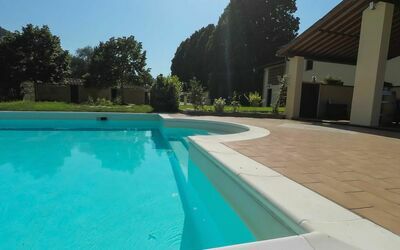 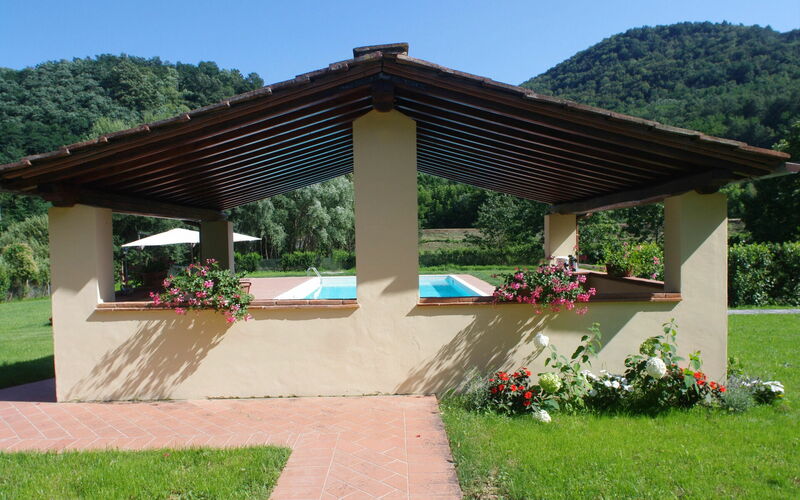 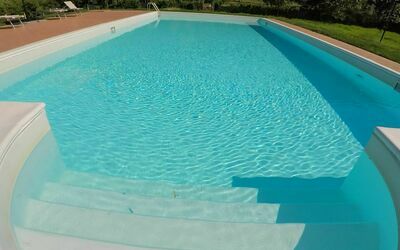 Holiday rental Casale Le Fiabe is a lovely property that includes WiFi internet and pool. 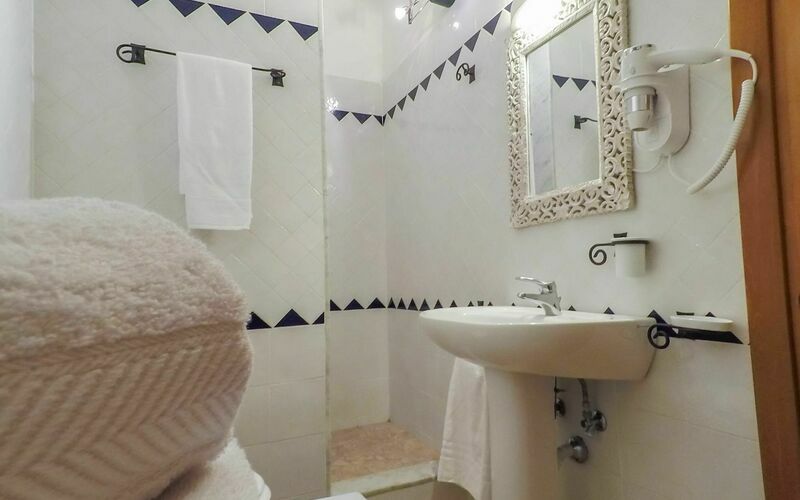 The apartment has been divided into a total of three separate units. 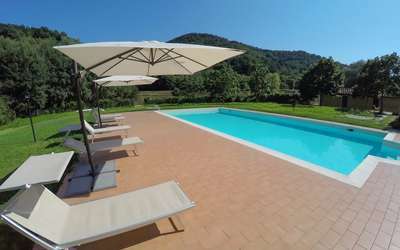 The property can sleep up to 13 guests comfortably. 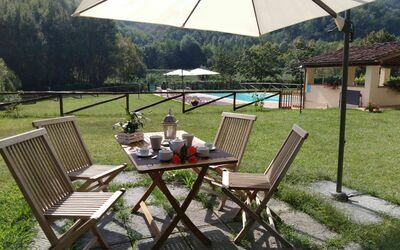 Casale Le Fiabe is located near Monsagrati, Italy. 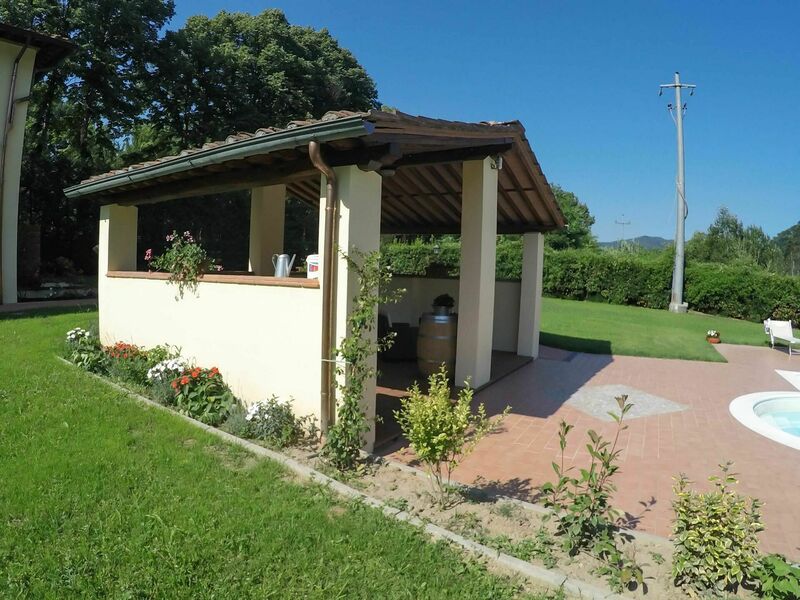 In nearby towns there are local shops where you can find fresh produce and other items, but if you need a larger shopping center there is one located only 11 km (7 mi) from the property where you can purchase groceries and personal items. 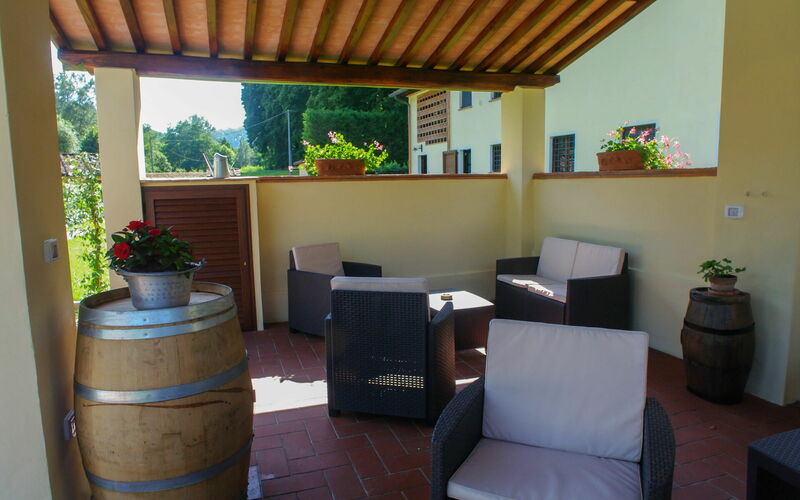 Although we only rent 3 accommodations, the property is actually divided into 6 apartments which are all completely independent and each one with its own outdoor area. 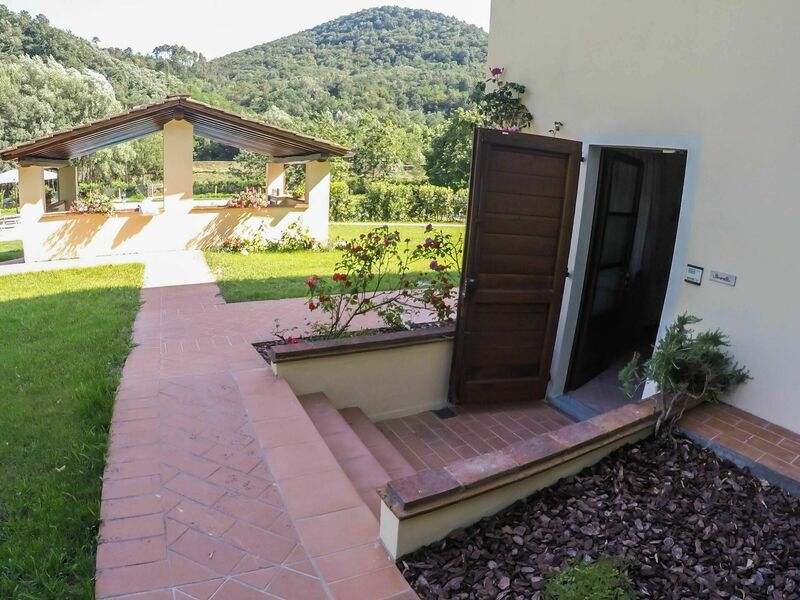 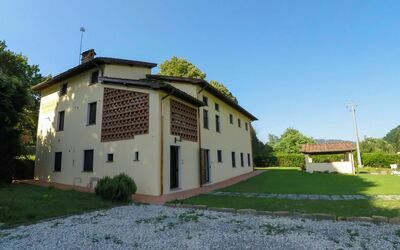 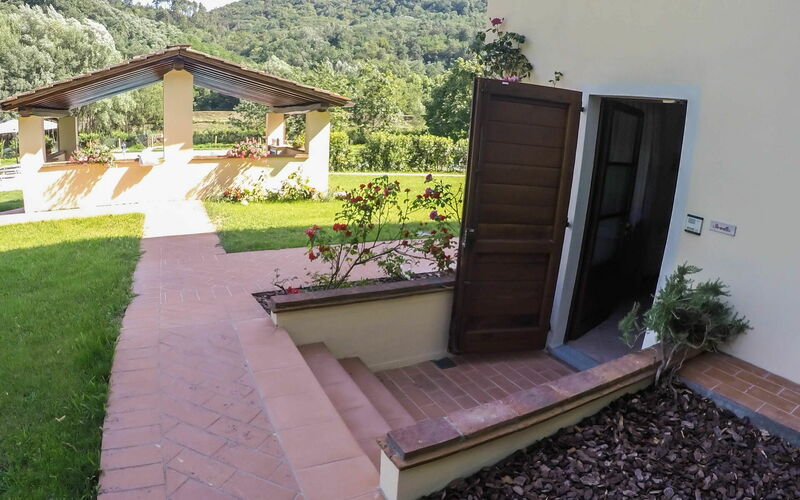 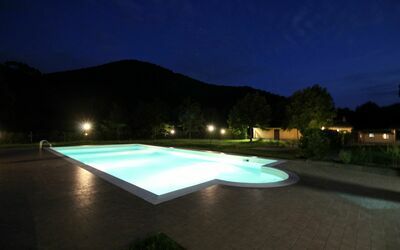 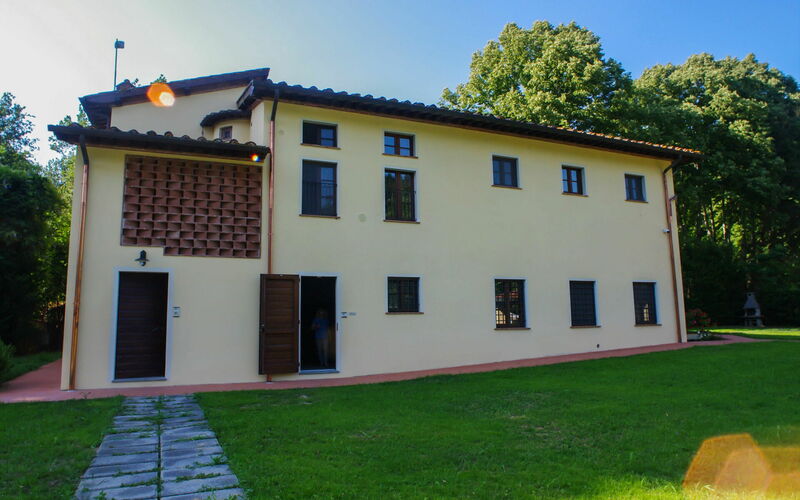 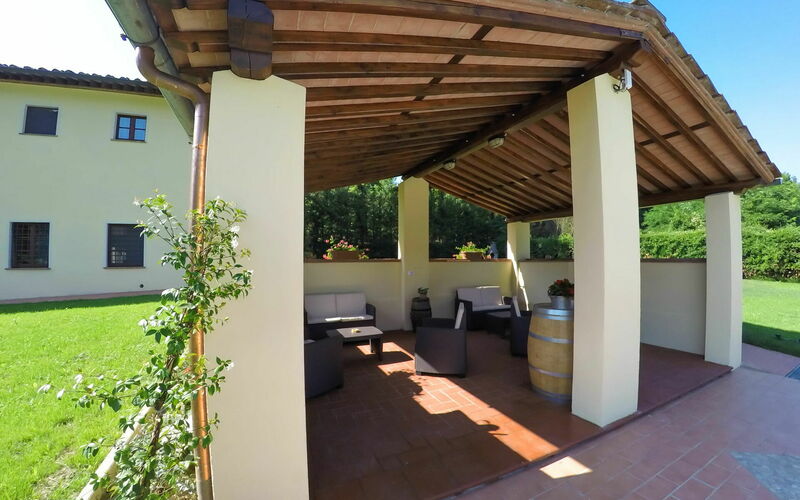 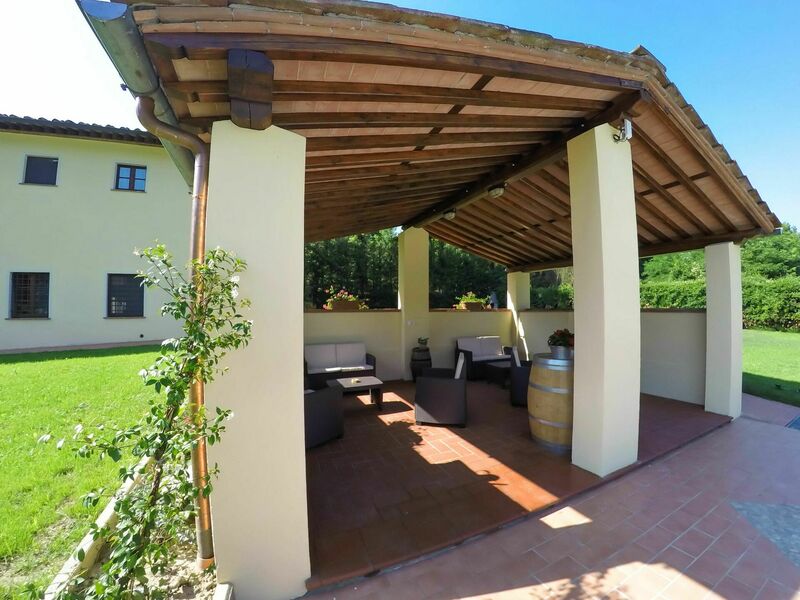 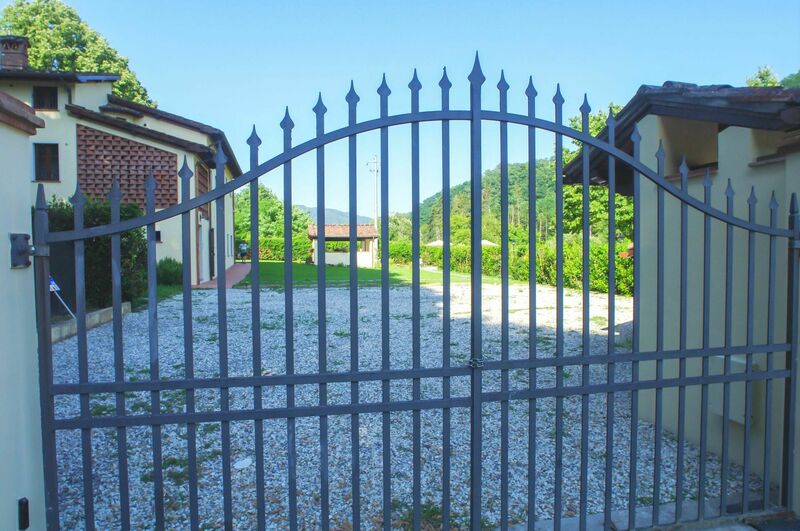 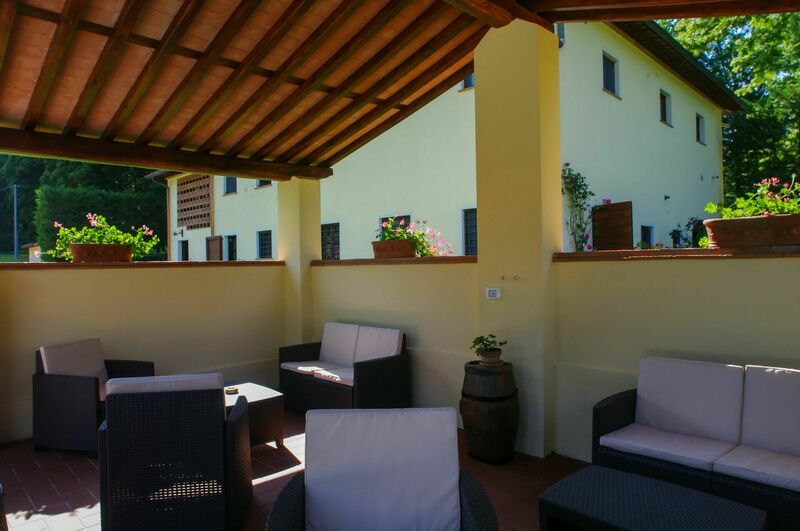 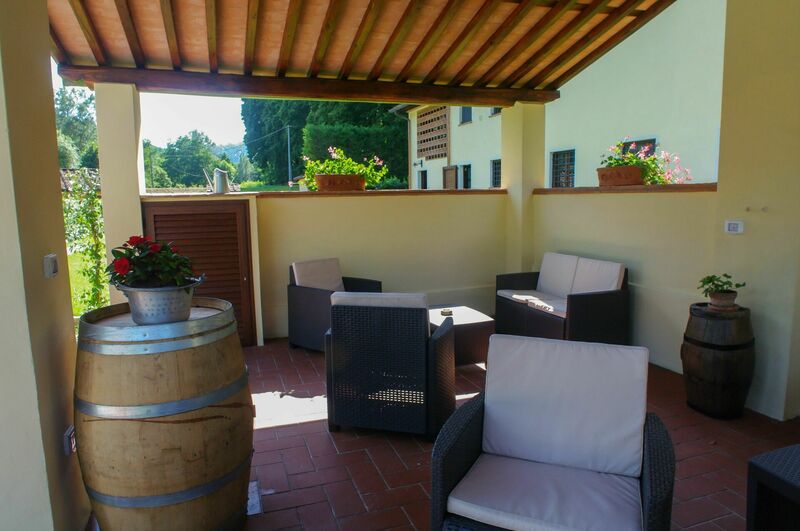 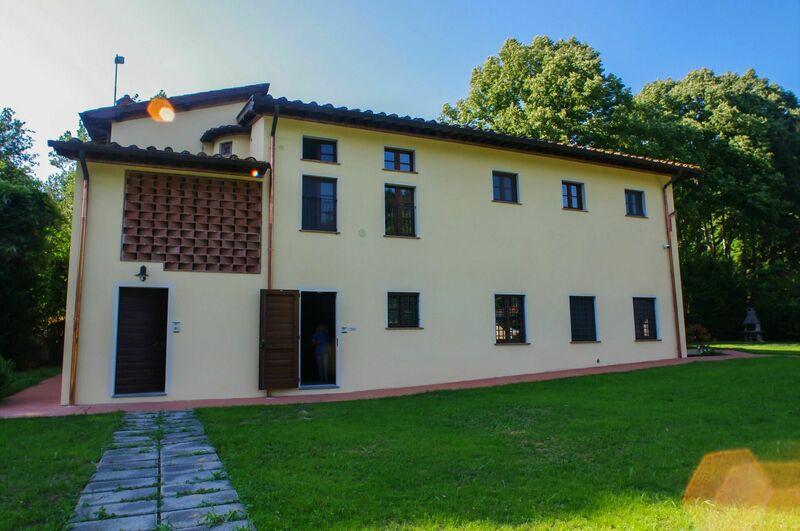 When you arrive you’ll find a beautiful clean well-maintained property ideal for a peaceful vacation in Tuscany. 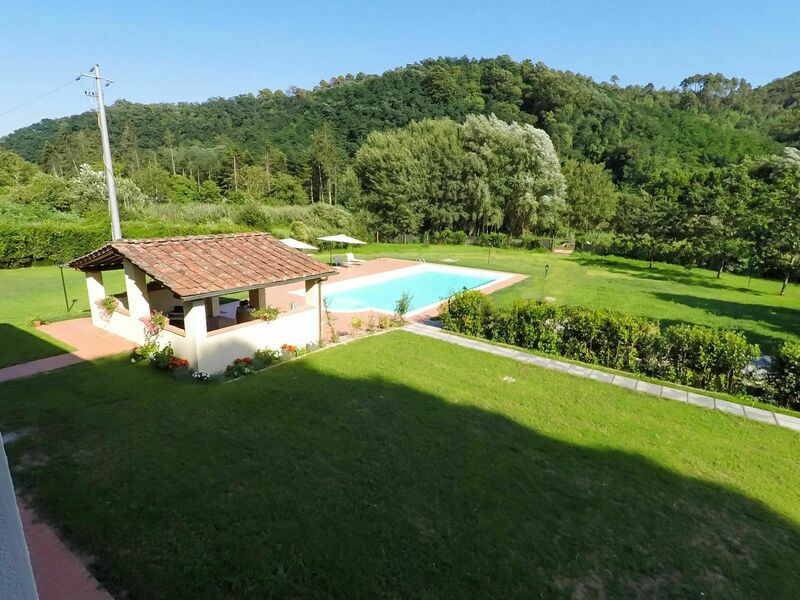 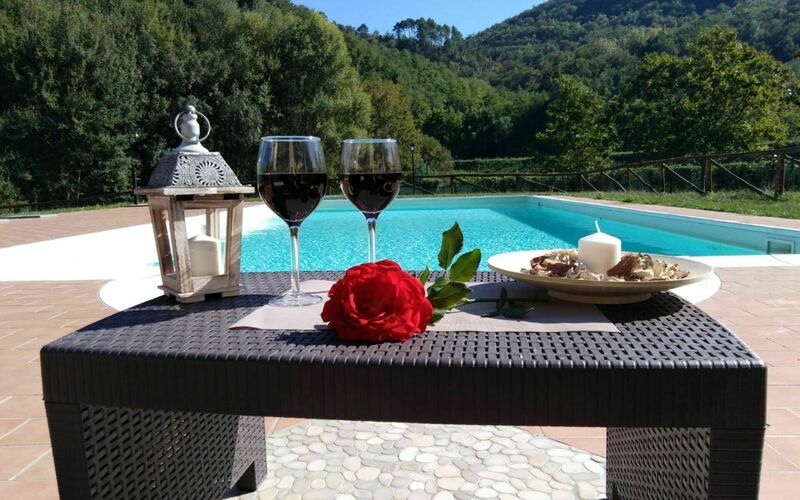 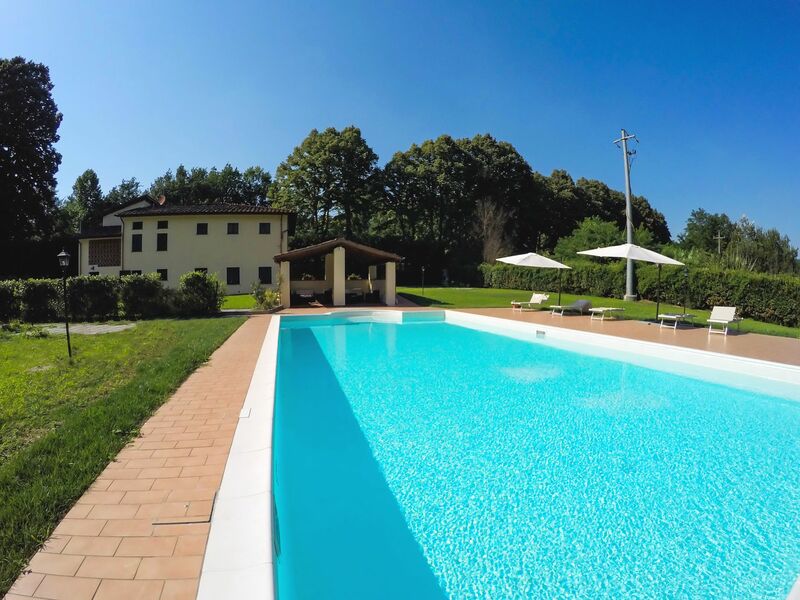 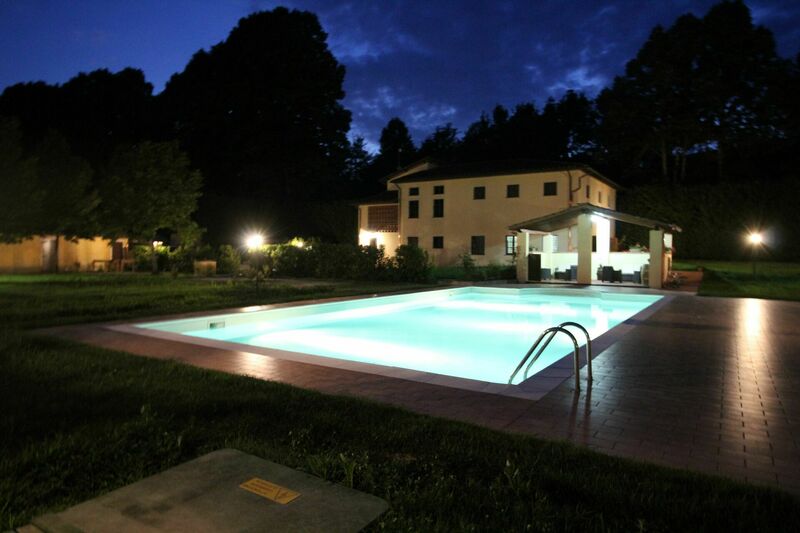 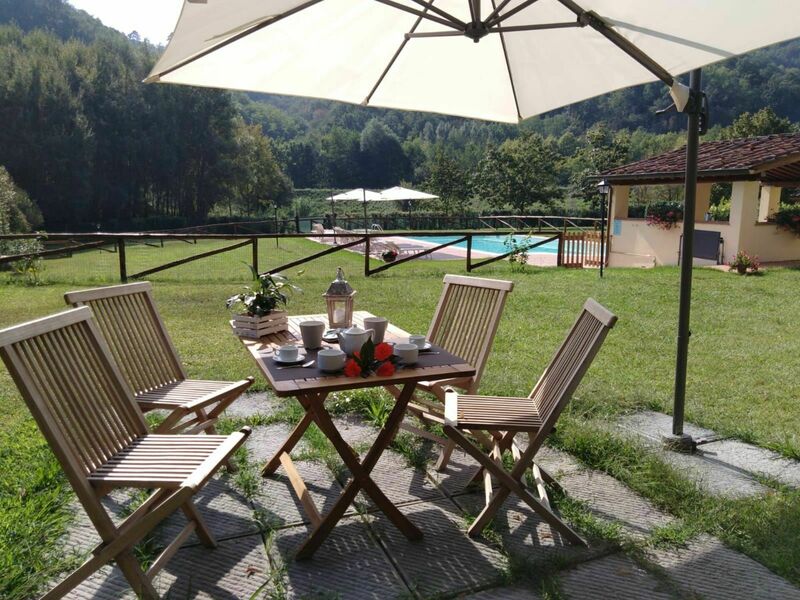 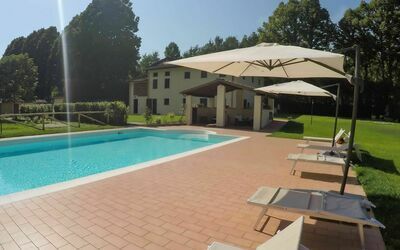 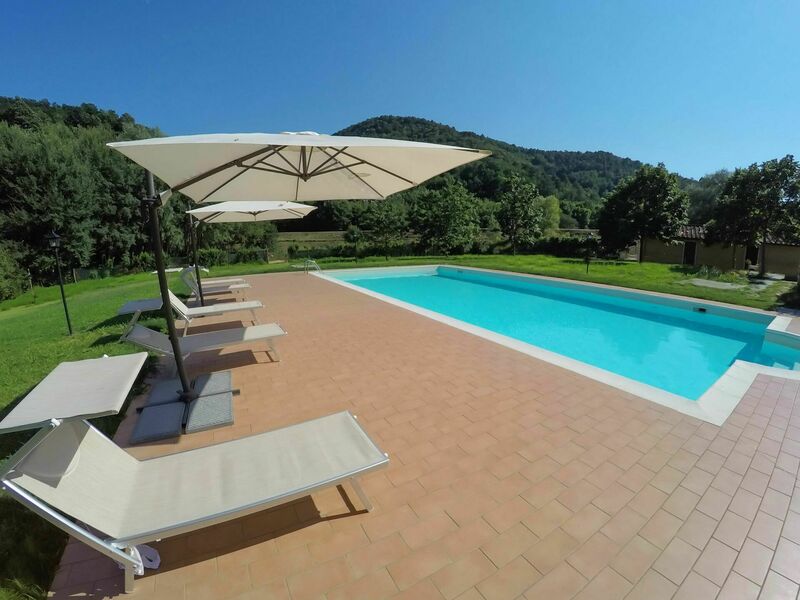 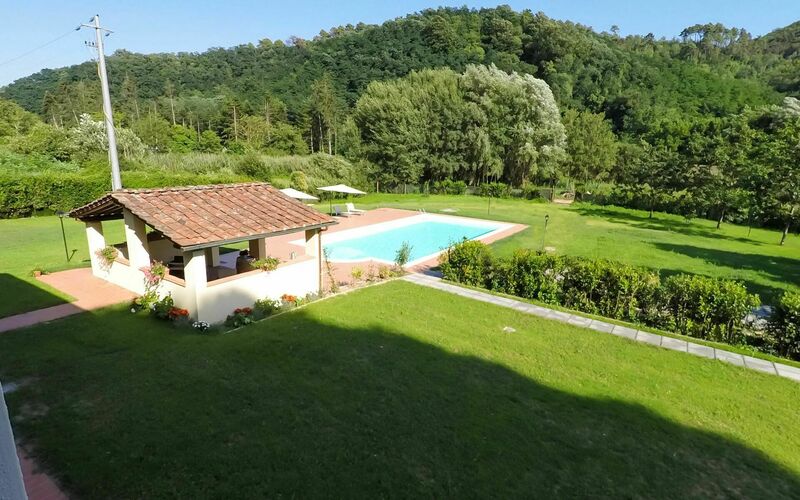 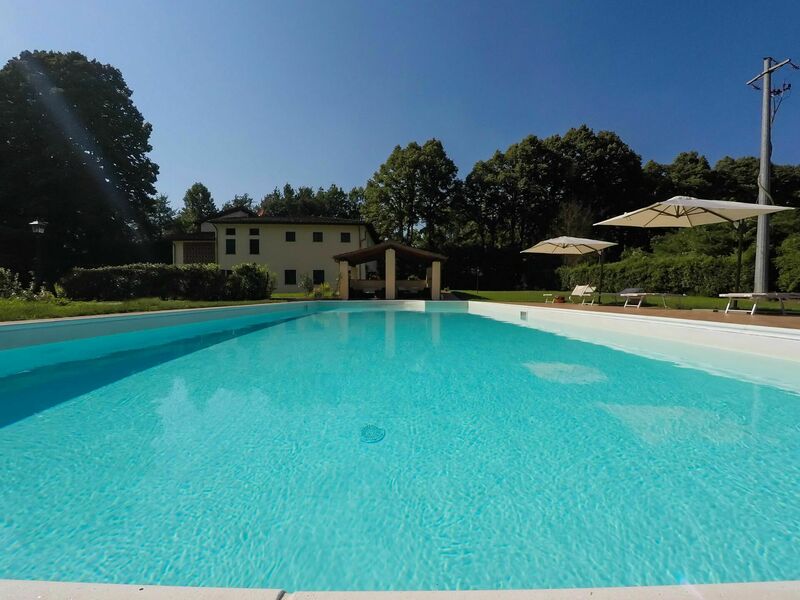 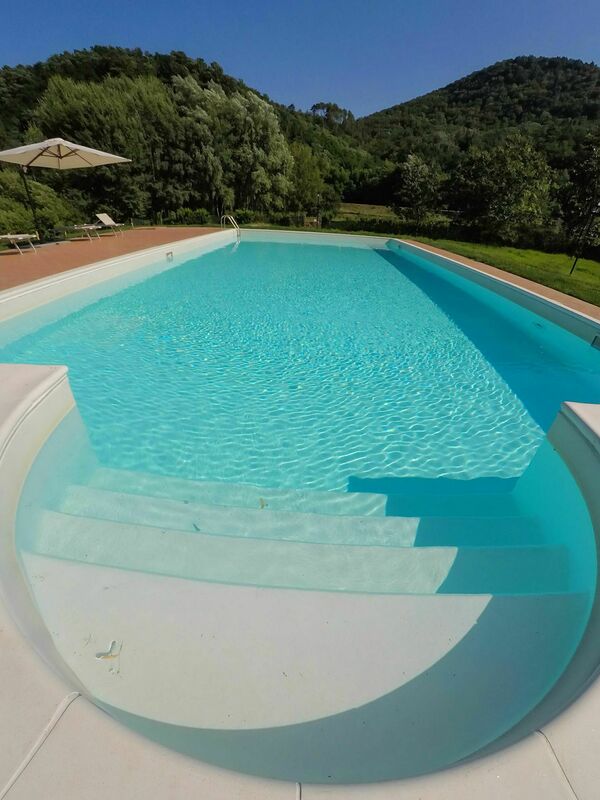 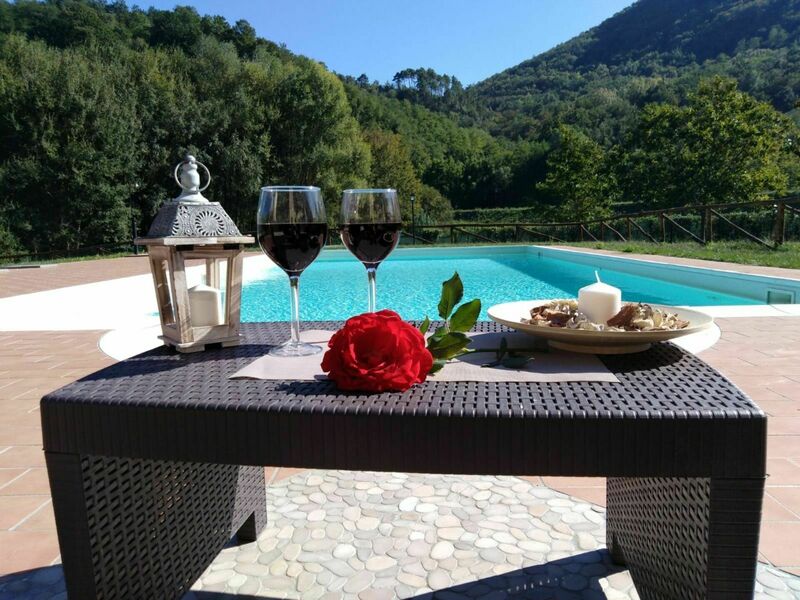 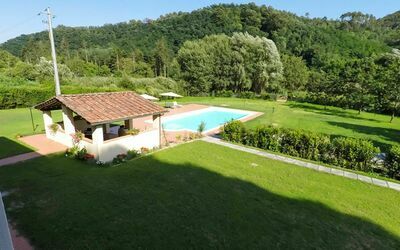 Regardless of how you spend your days - sightseeing, shopping, visiting museums or just driving in the countryside, when you arrive home you can relax with your family and friends at the pool for a perfect ending to another day in Tuscany. A real time-saver is having a washing machine on the premises that is available for the guests to use. 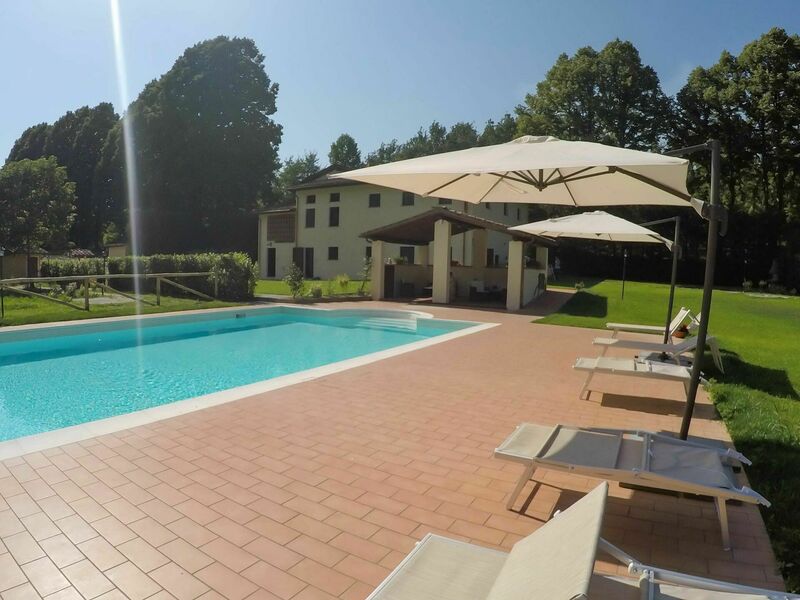 This holiday rental is a multi-unit property which is perfect for a group of friends or acquaintances traveling together that prefer to have private living and sleeping quarters while sharing the common areas, like the pool or garden, with the group. 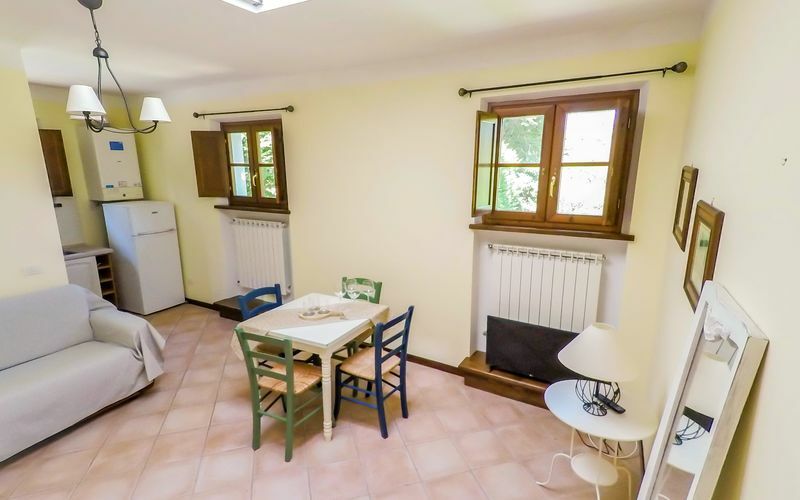 Each apartment is equipped with its own fully-equipped kitchen for meal preparation. 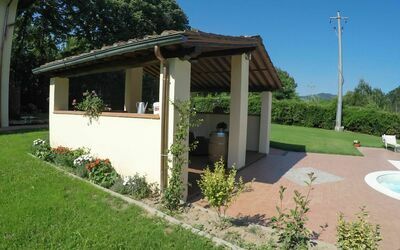 There are many nearby cities and towns that you can visit while on vacation, each one with its own history and culture that you can enjoy during your visit. 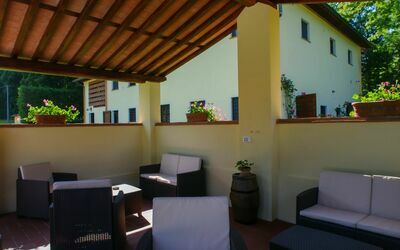 The highway is only 7 km (4 mi) from the villa and there is a train station 7 km (4 mi) away. 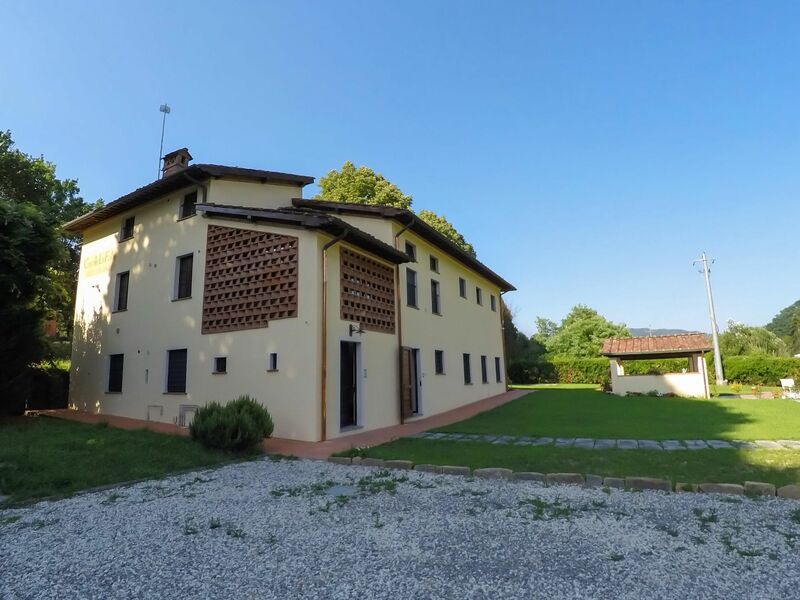 Nearest Airports: Pisa (Psa) 50 km (31 mi), Firenze Peretola (Flr) 87 km (54 mi), Bologna (Blq) 172 km (107 mi), Milano (Lin) 272 km (169 mi) and Bergamo (Bgy) 314 km (195 mi). Casale delle Fiabe is an excellent choice for families who travel together, who want to relax and enjoy at the same time lazing by the poolside. The mansion is located on the congested road, which connects the city of Lucca and the sea. The beautiful beaches of the Versilia are within an easy reach. 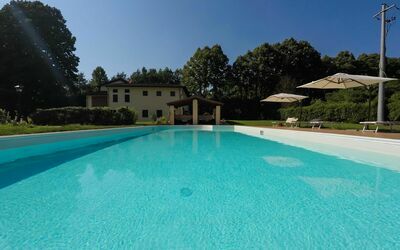 Discover the art cities such as Lucca, Pisa (35 km) or Florence (75 km). 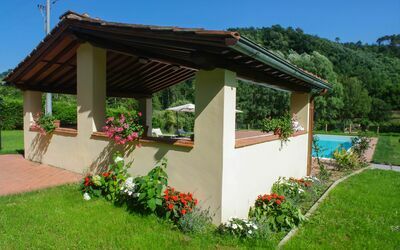 The surroundings invite to have a stroll or to organize a bike tour. 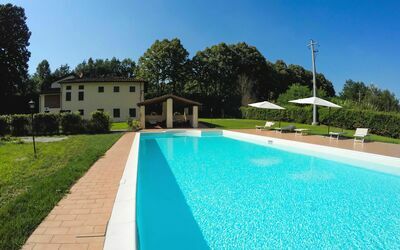 Guests may reach quickly and easily, in only 600 m distance to the house, a restaurant and coffee-shop, in 2 km a supermarket, grocery and other restaurants, tennis, small golf court (6 wholes – pitch and put), which extends on 4 hectares with a small lake, clubhouse, driving ranch and renting of golf clubs. 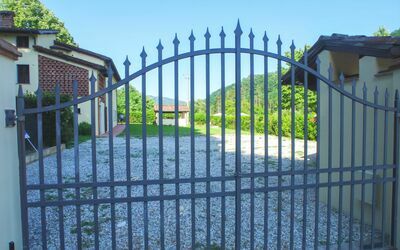 Big parking space within the grounds.